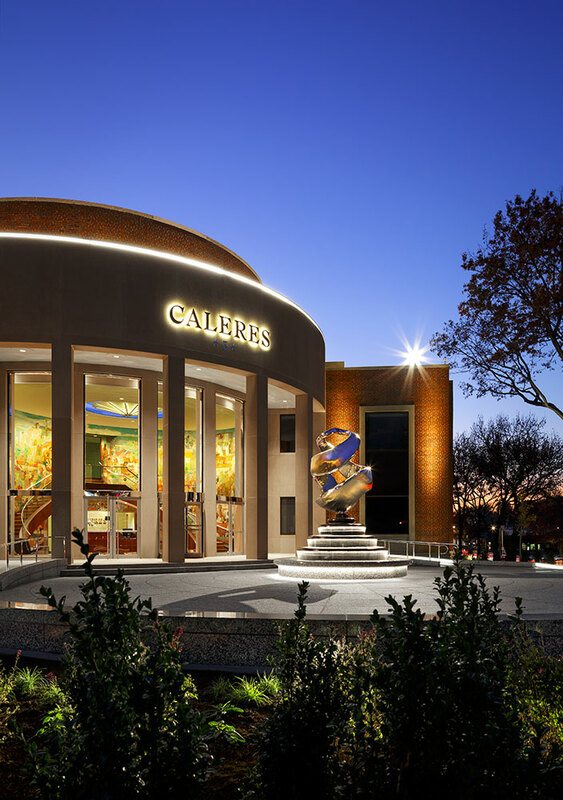 As the historic Brown Shoe Company transitioned into Caleres in April 2015, the re-branding and new vision for the company expanded to its headquarters building in St. Louis. The mid-century building’s entry experience was completely overhauled with an enlarged plaza, new front entry, and lobby enhancements. Anchoring the project is a new stainless steel sculpture by sculptor Saunders Schultz, atop a fountain designed by project architect Theodore Wofford. 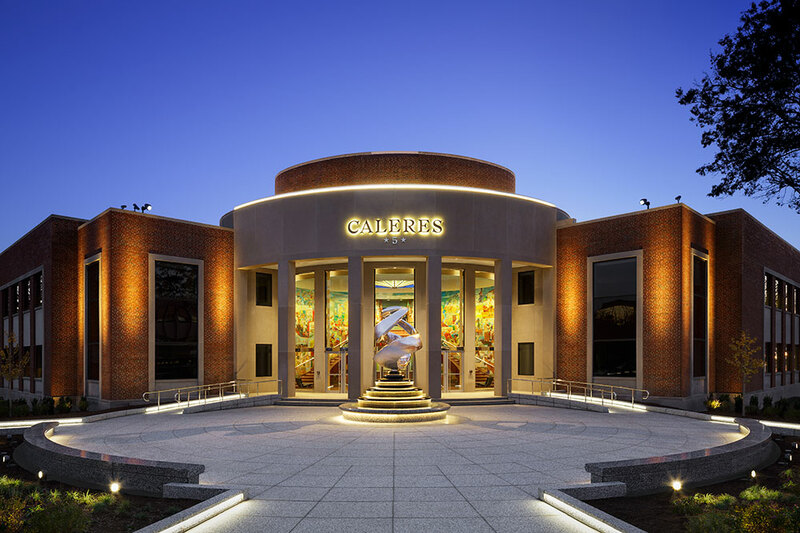 Lighting was an integral part of the design process in order to help create a seamless transition from interior to exterior spaces as well as create a sense of drama for visitors and employees. The design centers around keeping sources as hidden as possible, lighting key materials and surfaces, and focusing on lighting the perimeter of the plaza and lobby produces a sense of place without illuminating the large area in its entirety. For more on this project, see St. Louis Construction News and Review article here.